Officer McGregor, Though 1974 is well behind us now, no doubt those who knew and loved you best feel like it was yesterday. A tragic loss for law enforcement as well. I worked alongside Scotty & Paul for a year before the accident. 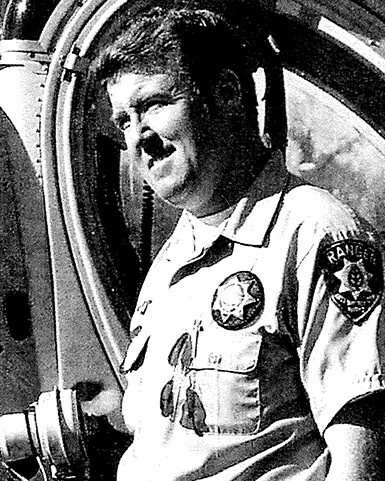 I had flown with Scotty several times and had worked Patrol with Paul. They're still missed, even after 40 years and even though I am not retired. East Bay Regional Parks will be holding a memorial on June 14, 2014 in honor of the 40th anniversary of Scotty and Paul's death. We are trying to locate family and friends who would like to be in attendance. Please contact me for additional information. I will always remember you as a hero for the lives you saved while flying Eagle-1. I remember your contagious laughter, your cigars, how your voice would go up when you were excited. But, I mostly remember your dedication and gentle manner. I always felt assured when you were on a call, that everything was going to be OK. I'm proud to have known you. I'll never forget you. You will always be one of my hero's. Rest in Peace, Officer McGregor. Your sacrifice is not forgotten. As my career's end is coming closer, I decided to check and find those who had lost their lives during the year that I was hired. While it's been many years since your passing, I'm sure those you left behind and those whom with you served with distinction have kept you alive in their memories. Thank you for your service and for looking out for us who continue in our chosen profession. Rest in peace Officer McGregor. Kenneth after all of these years you are still remembered as a hero! God bless you sir!